BC consultants are experts with Oracle performance tuning offering onsite and remote Oracle performance tuning support services. 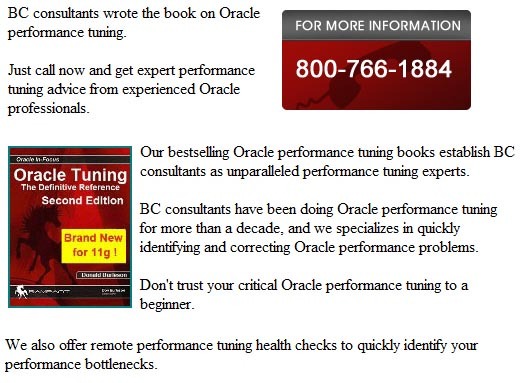 BC experts wrote the book on Oracle performance tuning and know exactly how to quickly and reliably optimize any Oracle database, large or small. BC has developed proprietary performance tuning tools to ensure optimal Oracle performance and to identify performance problems before they cripple your database. Do you have bad performance after an upgrade? Need to certify that your database follows best practices? Work with the leaders in Oracle performance tuning. With decades of experience in performance tuning Burleson specializes in quickly identifying and correcting Oracle performance problems. BC consultants are available for on-site Oracle performance consulting and Oracle performance training. 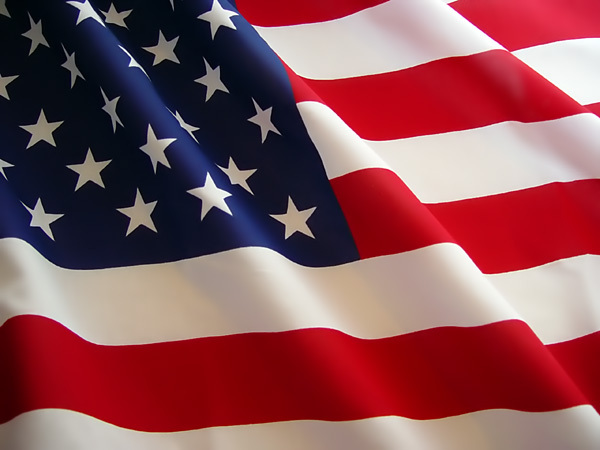 Burleson has performed Oracle performance tuning on some of the world's most sophisticated Oracle databases, and consults for some of the world's largest corporations. In addition, Burleson is a noted expert in Oracle Architectures, Oracle Database Administration, Oracle performance, Oracle Data Warehouse services and Oracle consulting. Burleson is committed to providing world-class Oracle performance tuning and Oracle consulting services that are customized according to the needs of your company. · Evaluation of your Oracle performance environment. Training DBA staff on proper Oracle performance tuning techniques. · Oracle performance tuning with advanced Oracle features. · Oracle performance tuning for the data warehouse. A typical Oracle performance tuning engagement lasts about five days, in which time the Oracle server, Oracle instance, Oracle objects and Oracle SQL statements may be tuned for optimal performance. · Reduced stress on your Oracle server hardware. · Improve end-user satisfaction with faster response time. · Reduce stress on your disks by reducing disk I/O. · Make all SQL performance permanent, regardless of changes to your environment. Donald Burleson wrote the book on Oracle performance. His bestselling Oracle Press book Oracle High Performance SQL Tuning and Oracle High-performance Tuning set the standard for Oracle performance methods.